As we get further and further away from the Downtown core, there is a sentiment that the quality of food slides down a slippery slope (hey, I've used that opening line before... oh well!). In the case of Japanese food, there can be an argument for that, particularly with ramen. However, that is not the case with everything. 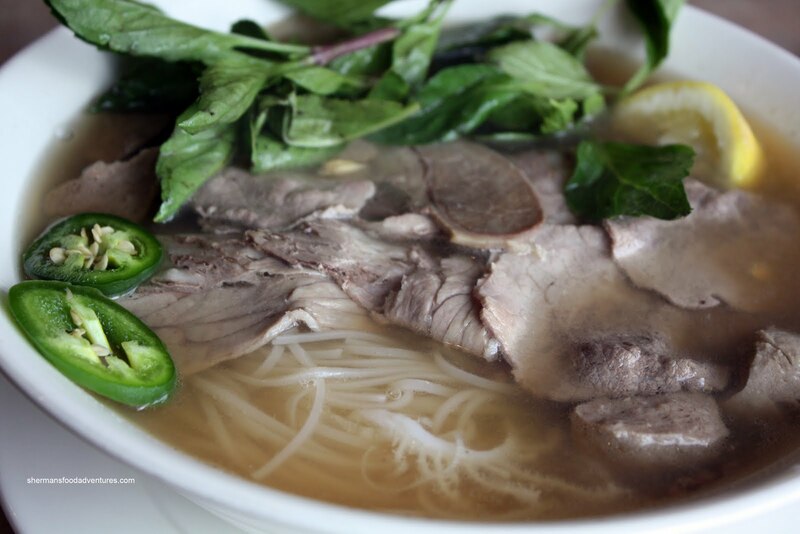 Take Pho for instance. 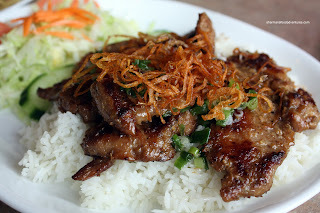 Almost as a paradox, there is hardly any good Vietnamese eats in Downtown itself. Mind you, there are plenty of good ones in all parts of Vancouver out of the Downtown core. 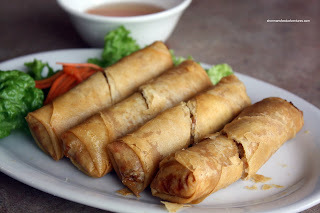 Yet, there can be gems further out such as Song Huong and Pho Tam in Surrey. 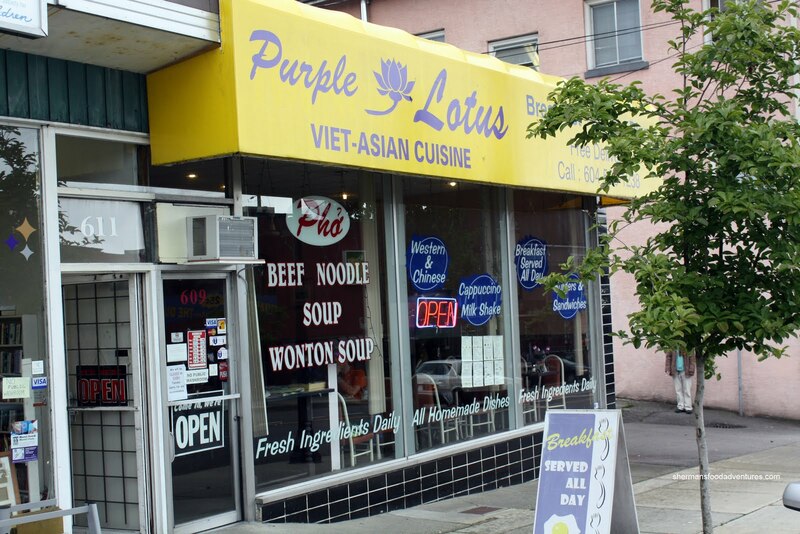 Today, we go on the hunt for good Pho in the New Westminster. We also ended up sharing a House Special Pho which comes with all the fixins' such as beef, brisket, flank, meatball, tendon and tripe. Pomegranate doesn't do tendon and tripe, so I ended up eating it. However, he accidentally got some tripe and picked it out. For someone who randomly puts things in his mouth without looking at it; he picked out the tripe pretty handily! As for the Pho, the noodles were good being slightly chewy; however, the broth was strange. It was... gritty. Yes, that sounds wrong right? Well, there were peppery bits and other spices at the bottom of the bowl which interfered with the t aste and texture of the soup. Thus, the soup was actually peppery which wasn't to my liking. Next up was the Lemongrass Chicken on Rice. This was a solid dish. The chicken was grilled perfectly and had good lemongrass flavour. It wasn't too sweet or salty. Nice balance. I liked how the rice was still a bit chewy without being hard. 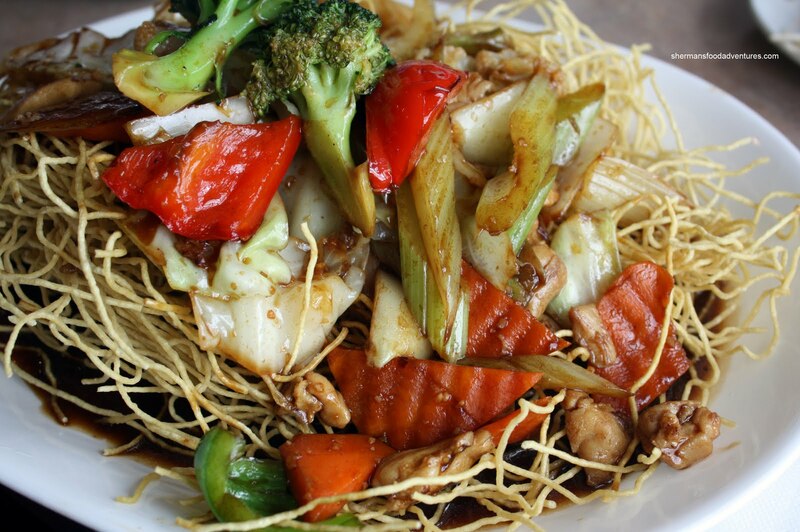 Now from the category of "WTF" was the Chicken & Vegetable Chow Mein. We asked for the noodles to be crispy; but we ended up with what looked like a loose bundle of hay. The noodles were so skinny and fried that the thin sauce merely sat at the bottom of the dish. This was nearly as bad as the one I had in Roseburg, Oregon where they used prepackaged chow mein. I know this is a Vietnamese restaurant and it serves us right for ordering chow mein; but seriously... Pops ordered something much better than the chow mein being the Stir-Fried Prawns and Mushrooms. 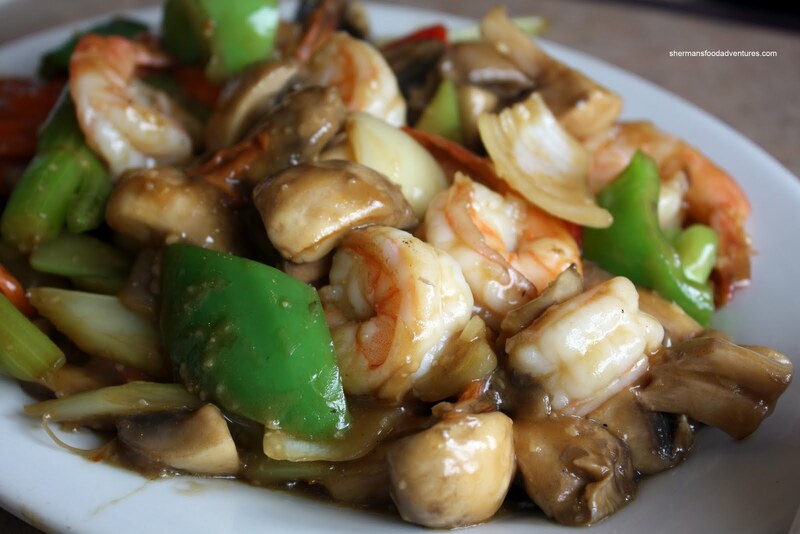 The dish looked great with lots of prawns, mushrooms and brightly-coloured green peppers. He thought the items were cooked properly. So this was a strange one. The food was either good or it was bad. So I guess if you hit the right dishes, you'll be fine. If not, you probably won't be coming back. I'll file this one in the "not good enough" category. 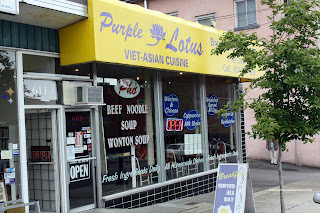 *sigh* I hope you can find some good eats in New Westminster as I live out here and don't have the cash myself to try these places. I look forward to your blog to hopefully find something new! Oh well, time to wait for another. Brad, the food ain't terrible here. I've just had better... There are some good eats in NW!